EXCLUSIVE! Grace your home with this classic Irish blessing and the Claddagh, an Irish symbol of friendship, love and loyalty. 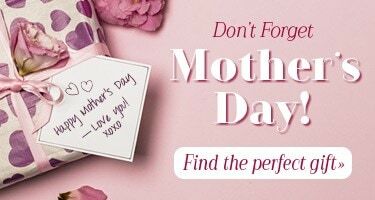 Make it uniquely yours by adding a family name and date. 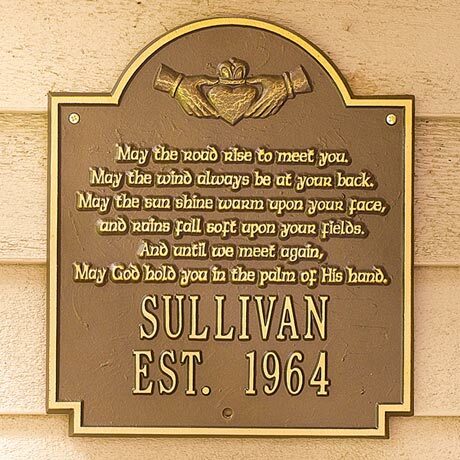 This handcast, handfinished personalized plaque is ideal by the front door or gracing the entry, and has a durable powdercoat finish for long-lasting beauty. Cast aluminum. 12 1/4"H x 10 3/4"W. For personalization: please specify two lines, up to 12 characters for the top line and up to 9 characters for the bottom. Please allow 3 weeks for delivery. No rush delivery or gift box. Personalization available in capital letters only.